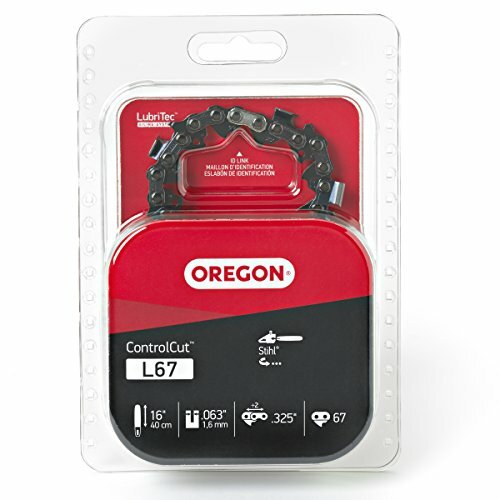 You have reached Oregon L67 Oregon L67 ControlCut 16-Inch Chainsaw Chain, Fits Stihl in Findsimilar! Our expertise is to show you Lawn & Patio items that are similar to the one you've searched. Amongst them you can find Stihl 16" Chainsaw Full Chisel Saw Chain 3639-005-0067 .325" Pitch .063 Gauge 67 Drive Links, Oregon L74 ControlCut 18-Inch Chainsaw Chain Fits Stihl, Anytime Tools 3/16" Diamond Chainsaw Sharpener Burr 1/8" Shank, 4 Pack, Oregon L68 ControlCut 18-Inch Chainsaw Chain, Fits Stihl, HIPA Gas Fuel Cap Oil Cap for Stihl 021 034 038 025 026 028 020 020T 023 024 034S 036 048 Chainsaw w Sprocket Cover Bar Nut, Oregon 3/16 inch Chainsaw File Guide with File - 25896, 2 Pack, Oregon 22LPX067G 16" Stihl Chainsaw Chain Loops, 67 Links, .325” Pitch x .063” Gauge, Replaces Stihl 26RS67, 3639 005 0067, all for sale with the cheapest prices in the web.